Skoda is going to reveal its first ever all-electric vehicle concept at the upcoming Shanghai Motor Show. Not only this, the Czech automaker has planned, apart from the Kodiaq three new SUVs, which are to include the likes of the next-generation Yeti, Kodaiq Coupe and an all-electric SUV. Skoda has already unveiled the Kodaiq in the international market and is expected to soon reveal the next-generation Yeti as well. Alongside the same, the automaker is also to raise the curtains of its first electric SUV concept. 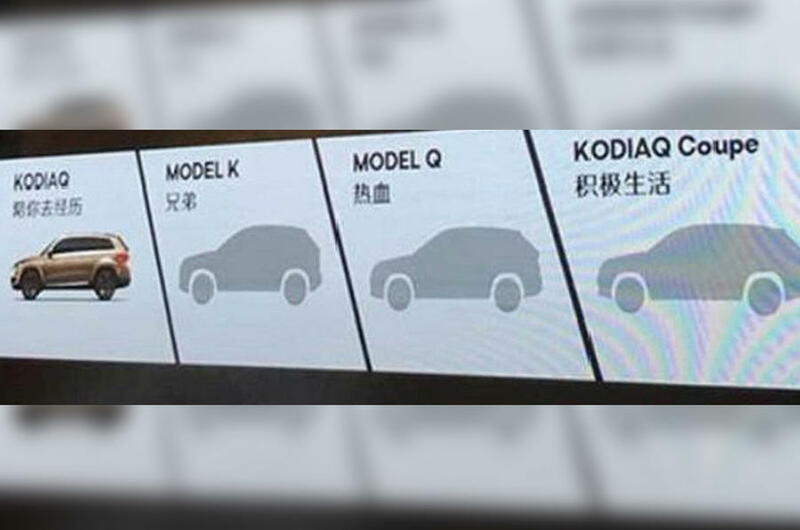 The same will make it to production ahead of the Kodiaq coupe by the year 2021. The teaser image shown gives an insight into what this upcoming electric vehicle could look like. Going by that, the SUV looks to feature a coupe like profile with sharp character lines and a rear tail-light which resembles to the sharp design seen on the Kodiaq and Superb. However, ahead of the debut of this all-electric SUV, Skoda will bring in a plug-in Hybrid avatar of the Superb sedan. The same is expected to make its debut towards the year 2019. The technology for Skodas electric line-up will be borrowed from the one which is already existing with the other brands like Audi and Seat which also fall under the Volkswagen group. Talking about the automaker’s plans for the Indian car market, we are to see the launch of the Kodiaq 7-seater SUV by the end of this year. Also, soon, the facelift Skoda Octavia too is going to make its debut in the Indian car market. After its global debut, by the year 2018, Skoda is also to launch the next-generation Yeti in our country as well.